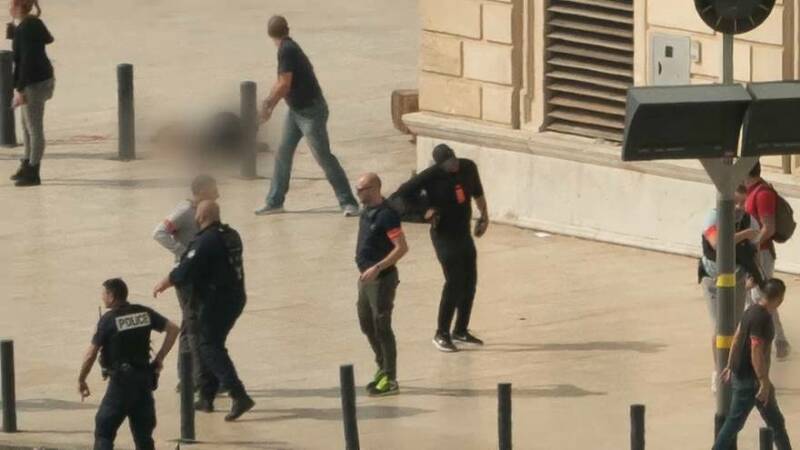 French police say stabbings in Marseille are "likely terrorist attack"
The French authorities are describing as a ‘likely terrorist attack’ the killing of two women on Sunday in Marseille which has been claimed by so-called Islamic State. Police sources said the suspect shouted “Allahu Akbar” (God is greatest) in Arabic before being shot dead by a soldier. Interior Minister Gerard Collomb said several elements of the attack were a mystery. “What is strange in the video is that the suspect starts to carry out an attack on the first person. He runs away and then backtracks to kill the second person. So this has raised a number of questions over the attack,” he explained. The attacker, who was reported to be in his 30s, was not carrying identity documents. One police source said he was known to the authorities for common law crimes, while another said digital analysis of fingerprints had unearthed several aliases. France has been under a state of emergency for nearly two years following a wave of terrorist attacks.